Heat oven to 425, place oven rack in lower 1/3 of oven. Unfold pastry onto piece of parchment paper and roll 1/2 inch bigger on all sides. Slide parchment and pastry onto baking sheet. I’m medium bowl,beat egg. Lightly brush 1/2 inch border of egg around pastry. Add ricotta and 1/4 tsp salt and pepper to bowl with remaining egg. Finely grate zest of lemon into bowl, then fold in scallions and herbs. Spread onto pastry, leaving border uncovered. 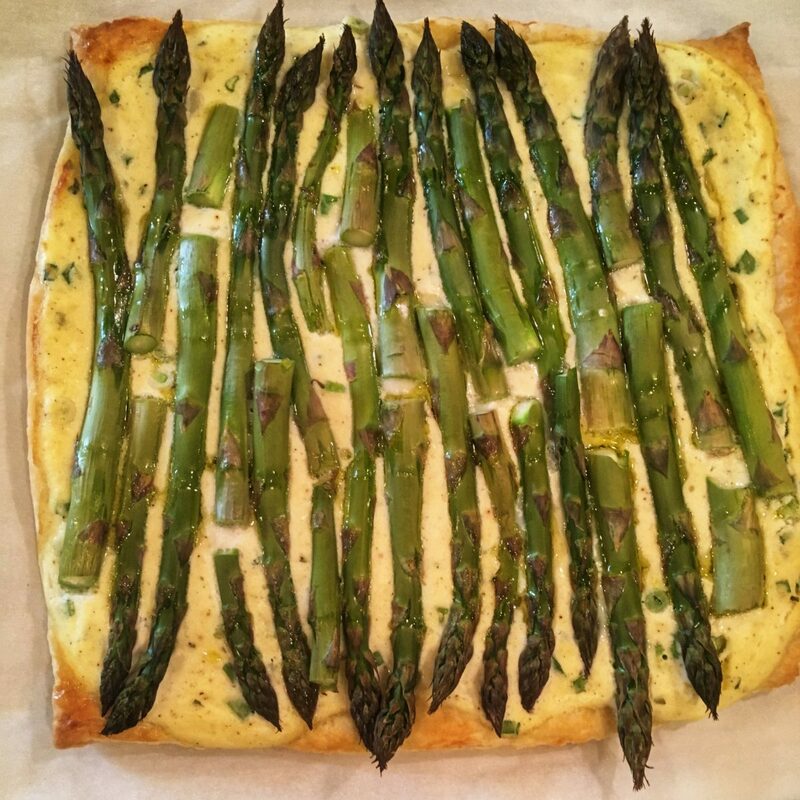 Top filling with asparagus, drizzle with oil and add salt and pepper to taste. Bake until crust is golden brown, 18-20 minutes.